The force behind Vivekananda Kendra and Vivekananda Rock Memorial - Mananeeya Shri Eknathji Ranade was born in a small village Timtala in Amaravati district in 1914. Rastriya adhikaris of Vivekananda Kendra Kanyakumari visited Timtala on 16th March, 2015. The people of Timtala have a feeling of pride and fulfillment that a son of the soil has created such an important National Monument at Kanyakumari. Ma. Bhanudasji spoke to the villagers about Mananeeya Eknathji's perfection, hard work and his contribution in national reconstruction. He futher appealed them to focus on Swami Vivekananda's message of "Service to Humanity is Service to Divinity" and bring it into practice as Ma. 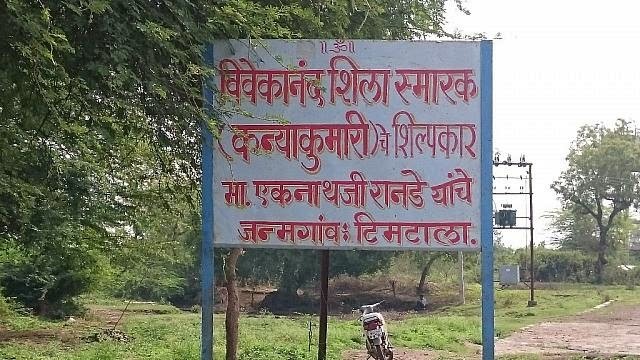 Eknathji did. Kendra's Vice-President Ma. Shri Balakrishnanji, Sushri Nivedita didi, Joint General Secretary Sushri Rekha didi, Shri Pravinji, Shri Kishorji, Treasurer Shri Hanumanthraoji, Maharashtra prant Pramukh Shri Abhay Bapat, Maharashtra Prant Sangathak Shri Vishwas Lapalkar, Village Sarpanch Sushri Rekhatai Mende and Shri Narendra Zade from Amaravati were also present on the occasion. Sushri Shobhatai Pitale introduced the dignitories to the people. The Programme was conducted by a student of journalism - Suraj Sahare. 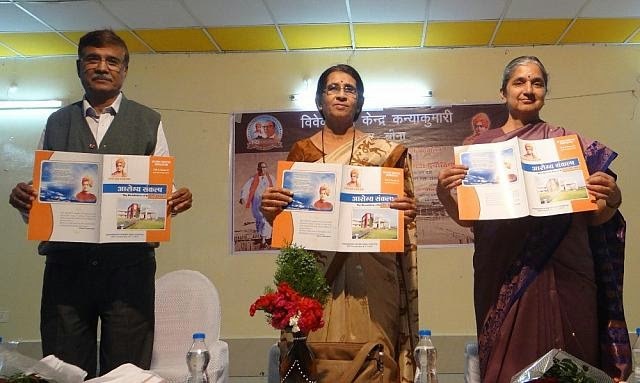 Sushri Geetatai Kelkar introduced Vivekananda Kendra and its activities. People were inspired by watching a small film on Ma. Eknathji. Sushri Sarthata Deshpande presented a song on Ma. Eknathji's life and work. More than 100 people were present for the programme. Another programme was arranged at Amaravati at DCPE Auditorium of Hanuman Vyayam Prasarak Mandal - one of the most prestigious institutions of our nation. The programme started at 6.30 pm by a film "Eknathji". Sushri Gauri Deshpande conducted the programme. Shri Chintan Magia explained Vivekananda Kendra activities to the audience. Ma. Nivedita Bhide spoke on "Timtala to Kanyakumari - A journey towards the Goal". She spoke about three stages of Ma. Eknathji's life - 1 his young age, 2 his Pracharak life and 3 his contribution of Vivekananda Rock Memorial and Vivekananda Kendra. She also spoke about his great contribution in various fields like Service, Yoga, participation of women in social and national level and work in north-east region of our country. 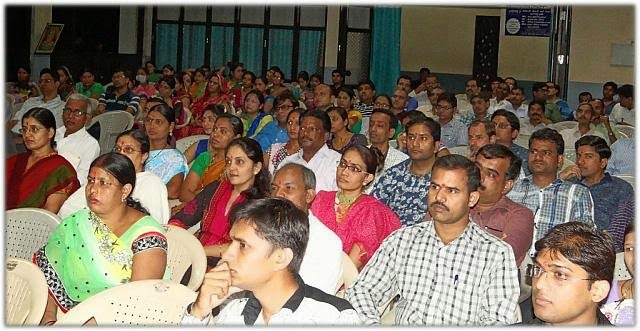 The programme was attended by 170 people of Amravati. It was concluded with Shanti Mantra. Vivekananda Kendra Kanyakumari, Surat Branch, has organized Yuva Dampati Sammelan - "Matrutva Pitrutva Ki Akalpniya Yatra" on 22nd March 2015. The base theme of the sammelan “Adarsh Parivar Rachan Aur Aanandamay Shishu Palan”. There were total 60 Dampati participated in the program. Yuva Dampati Sammelan was started with 3-omkar and prayer followed by Geet - "Nirvano Ke Pavan Yug Mai". Main lecture was delivered by Dr. Vikashji followed by Kendra Introduction and Questions - Answer session. There was also light moment in games session. There is special "Sanskar Varg" module for the participant's children, in which geet, games, action song and story session. As a part of Mananeeya Eknathji Janma Sati Parva , the founder of Vivekananda Kendra Kanyakumari, a Free Eye Screening Camp was organized at Deomali Community Health Centre of Tirap district of Arunachal Pradesh on 27th March 2015. The camp was organized by Vivekananda Kendra Arun Jyoti in association with Lion K.K.Saharia Eye Hospital, a premier Eye Hospital of Dibrugarh, Assam. Dr.J.Das, Eye Specialist and his team screened 127 patients and 17 cataract patients were identified. As per their commitment, the cataract patients will be operated free of cost in their hospital on 7th April 2015. The other patients were advised for spectacles and free medicines were distributed amongst them. The camp was inaugurated by Sri B.Puroik,SDO of Deomali and attended by more than 200 eminent personalities of Deomali township. They lauded the efforts of Vivekananda Kendra Arun Jyoti in the field of rural health care and assured all possible help from their side. 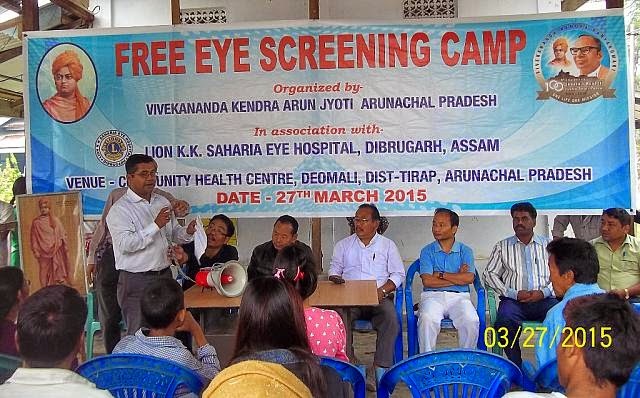 In the coming days more such camps will be conducted in different parts of Arunachal Pradesh in association with Lion K.K.Saharia Eye Hospital, Dibrugarh. "Fearlessness is another superb quality which we have lost. Such enormous youth power we have, but it is wasted as our youths are chicken-hearted.They become homesick when they are away from home. There is no sense of adventure. We are terribly afraid of death. The Gita chanting and the Upanishadic recitations that we do are only a remnant of the past glory. We speak of high principle but live just the contrary. Our concepts, beliefs and faiths move in one direction and our stream of life flows just in the opposite direction." The website has been started on Rashtra Chintan Diwas, a First day of Samartha Bharat Parva, and till now12,86,455Suryanamskars have been registered.